CELLO FEST on Thursday, Oct. 6th was awesome! 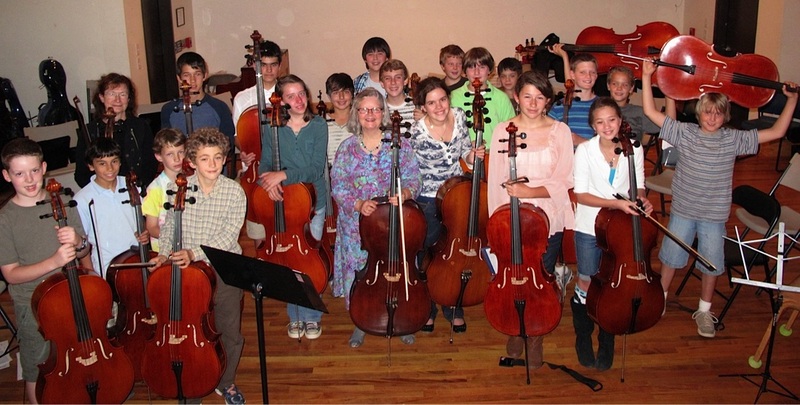 20 cello students participated - we had to move to a larger room to accommodate them and all the parents and students from other grades. 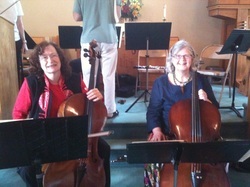 I and a cello friend, Dorothy Wright, played the first 2 movements of the Vivaldi Cello Concerto for 2 cellos (the Duelling cellos I tell my students!) In spite of the logisitical difficulties of getting students from different grades (although the teachers were very supportive and gave me their students for rehearsals when they could) they pulled together and played very well, and had lots of fun playing 3-4-5 part pieces by Schubert (Lullaby), Brahms (Slumber Song), Dona Nobis Pacem, Bingo, This Old Man. It was a wonderful afternoon celebrating my 20 years at the school. 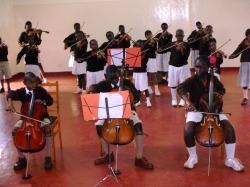 EWS String students'concert in honor of the Mount Kenya Academy Strings. The schools have a penpal program set up for the string students to correspond with each other. The Mount Kenya Academy is a private school in Kenya that started a string program in 2006 with a doctoral student from Boston. 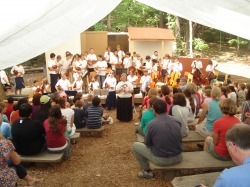 All instruments, supplies and music were donated to start the program.